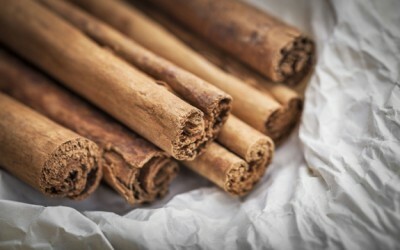 Cinnamon is an amazing spice; it can prevent diabetes, boost brain health, and fight inflammation. But that isn’t all the wonder spice is known for. Did you know that cinnamon could play an important role in future infection-prevention, fighting both bacterial and viral threats? While we are seeing an increase in the number of antibiotic-resistant infections, something as simple as cinnamon oil could hold a potential solution. As most people realize, the medical industry runs campaigns every single year about the need to vaccinate against the flu. But as we know, these vaccinations are not without risks and are not foolproof. Similarly, doctors are trained to doll out prescriptions for antibiotics with each bacterial, and sometimes, inappropriately,viral battle. Rather than depending on some magic bullet to prevent illness, people are increasingly understanding the need for natural illness-prevention. Enter, cinnamon. Cinnamon has antiviral, antifungal, and antimicrobial properties. In short, it can ward off a variety of illnesses. The spice has been shown to annihilate candida, a problematic yeast, and inhibit the growth of foodborne bacteria, making it a natural food preservative. The effectiveness of cinnamon oil in the prevention of contagious illnesses is particular promising. According to a study from French researchers in 2008, cinnamon oil was found to have the highest antimicrobial properties (when compared with other known-antimicrobial agents like thyme and eucalyptus). The researchers said they found the oil to fight serious infections like Staphylococcus, E. coli, and several antibiotic-resistant bacteria. One scientist from Tel Aviv University signed a license deal several years ago to bring an oil derived from cinnamon to the masses. At that time, the oil—known as Ovadia—showed promise in protecting livestock against disease, being used in air systems of hospitals to prevent the spread of infection as both an immunizer and a neutralizer for infections like Avian Flu, HIV, the Sendai virus, and Herpes Simplex I. Farmers continue to use natural antibiotics like cinnamon and oregano oil in place of antibiotics for livestock treatment. While sprinkling cinnamon on your food can offer health benefits, the research on these powerful properties all seems to include the essential oil of cinnamon. Infectious disease is not a new problem; it’s something that has been around for ages. While antibiotics have played their part, humankind has survived many horrible outbreaks and illnesses without modern pharmaceuticals throughout history. We are on the cusp of rediscovering these natural healers and natural prevention methods. And from all indications— cinnamon certainly has a place among other powerful food-medicines like garlic, ginger, and thyme. We used to cinnamon in nuverus infusion , it also helps in preventing Neuro degenerative diseases. This is a power full ingredient. [ Smiles ] This is good news. I have lots of cinnamon in stock!